Minca is incredible. The crazy thing is we weren't even going to go until we couldn't go to Tayrona National Park. Minca is a small village nestled in the foothills of the mountains. It is the perfect option for travelers looking to escape the gritty cities of Colombia, and especially Santa Marta. Up until relatively recently, like literally 2010, the beautiful natural beauty of Minca was unable to be seen by the public. The doors of tourism were firmly closed because of the presence of paramilitary forces in the surrounding areas. This meant Minca was a place cut off to all but the locals. Since tourism is booming and security and safety in Colombia improving, there are hostels and restaurants opening all along Mincas streets. This means you should go to Minca now! Before it's on everyones Instagram feeds. Minca is 660 metres above sea level. This means is a few degrees cooler than the scorching Santa Marta. You may want to pack a light jacket. But, it's still perfect for enjoying the outdoors - and you should, the views are gorgeous. How long should you spend in Minca? We spent an amazing day adventuring and felt like we saw a lot of Minca. So a day trip is doable, just know it will be a long day. We left Santa Marta around 7:30 in the morning and then left Minca around 5 pm. So, although you can definitely have an excellent day-trip here, I would recommend spending at least one night. The best way to visit Minca, either for the day or a longer trip, is while staying in Santa Marta. From Santa Marta you can take a taxi collectivo (or regular taxi) to the town of Minca. It is about an hour away and up the mountain. Since the actual town of Minca is quite small and the rest of the attractions are scattered around the country side you will have to switch from car to motorbike once you reach Minca. The good news is there are many willing drivers who are apart of the motorbike union which will take you for flat fees to anywhere in the jungles of Minca. As you can see, there is quite a bit to do while up in Minca. 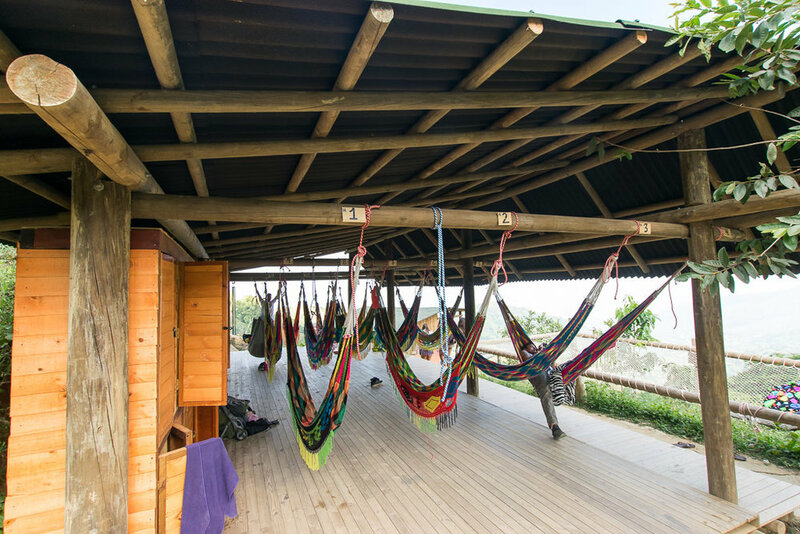 If you want to visit the hammocks at Casa Elemento check out this article that details everything you need to know about a day (or overnight) visit there. The waterfalls are gorgeous and there are two different ones. Pozo Azul and Cascada Marinka. Both can be hiked to or you can take a motorbike. Same thing can be applied the coffee farm. You can hike or take a motorbike. The farm shows more the industrial side of the coffee business but is still very interesting. Casa Elemento is one of the most famous hostels up in Minca. They are the home to beautiful hammocks that have become quite famous on Instagram. 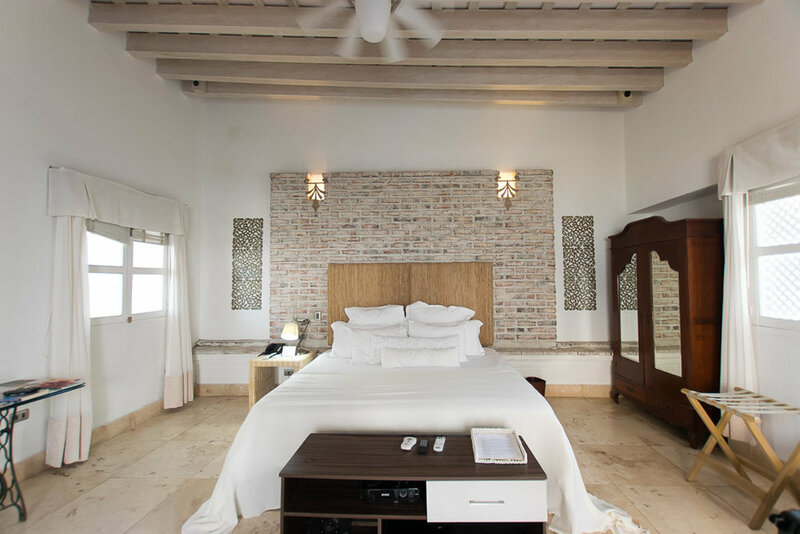 Boutique Hotel Don Pepe is the best place to stay if you want to just do a day trip to Minca. You can read my full review here but this hotel is such a gem!!! The pool is beautiful, the staff are so helpful, and the food is EXCELLENT. Don't miss it.